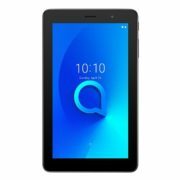 Alcatel 1T 7 8068 Tablet – Android WiFi 8GB 1GB 7inch Prime Black price in Bahrain, Buy Alcatel 1T 7 8068 Tablet – Android WiFi 8GB 1GB 7inch Prime Black in Bahrain. Super lightweight tablet packed with power. Alcatel 1T 7 inch Wi-Fi tablet comes with an incredibly compact form factor and lightweight body, weighing in at 245g and measuring 9.15mm thin, making it the ideal device for sharing in the home. The 2580mAh battery provides up to 430 hours of standby time and seven hours of usage, so no matter if you’re streaming movies, playing a game or simply sending emails, you’ll have more than enough power. Alcatel 1T 7 tablet is 245 lightweight grams of superior performance. Among the most weightless in its class, it’s ready to follow wherever you’ll go. Android Oreo (Go Edition) is built leaner, faster and safer than ever before, so you can go bigger in everything you do. Kids Mode will bring joy and safety to kids and parents alike. Kids will love the tablet’s preloaded ad-free apps for children’s use. Parents will appreciate its built-in easy -to-use parental control panel that lets them set usage time and select which apps are available to use for kids. Minimize blue light exposure with Eye Care. It lessens tablet blue light to reduce its impact on your sleep patterns and relieve visual fatigue. 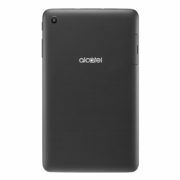 Alcatel 1T 7 tablet is tested to ensure exceptional quality and customer satisfaction. Evaluated for endurance, reliability and stability, it’s a device you can rely on.